With a small-town feel, Milton still has quick and easy access to Boston. Milton, MA is serviced by the Massachusetts Bay Transportation Authority (MBTA), with either the historic Red Line Trolley or bus routes that provide access to the red line subway ("T") to Boston. The MBTA commuter rail stations in Hyde Park are also a short drive from Milton. 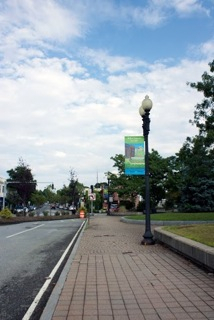 Routes 93 and 95 border the East and West sides of Milton for commuting to Boston or along the Route 95 corridor. The beaches of the South Shore and Cape Cod are a short drive to the south. A three-member Board of Selectmen and a Representative Town Meeting form of government govern Milton. Citizens of the town elect town meeting members to represent them at the annual town meeting. Milton’s rich history started when it was settled in 1640 as a part of Dorchester and was incorporated as an independent town in 1662. Historically significant, Milton was site of the signing of the Suffolk Resolves in September 1774. A precursor to the Declaration of Independence, the Suffolk Resolves were the first of a number of resolves adopted to promote non-compliance to British rule. They were called the Suffolk Resolves because, at that time, Milton was still part of Suffolk County. The Suffolk Resolves House still stands in Milton. Under the ownership and direction of the Milton Historical Society, the house is open to the public for tours. Also notable in Milton history is that it was the birthplace of President George H. W. Bush and home to Massachusetts Governor Deval Patrick, who was Governor from January 2007 to January 2015. With a number of homes listed on the National Historic Register, Milton was also home to two Royal Governors, Jonathan Belcher and Thomas Hutchinson, whose homes date back to the 1700s. Milton was also home to the country’s first piano factory and first chocolate factory, Walter Baker Chocolate. Bent’s Cookie Factory has a history back to the early 1800s and is still in operation today. In 2012, Milton celebrated its 350th birthday with a yearlong celebration. Milton has the distinction of having been named to Money Magazine’s top places to live in the United States three times since 2007, most recently being named as the second best place to live in the country in 2011. 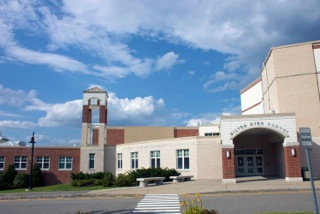 Milton has a reputation as a strong public school system, including the highly regarded French immersion program. Milton’s school buildings have all undergone recent renovation or construction projects. 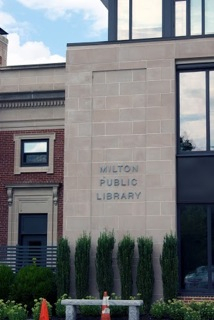 The Milton Public Library, located at 476 Canton Avenue, also underwent a major renovation and construction project in 2009. Milton is also home to the prestigious private boarding school, Milton Academy, as well as Fontbonne Academy, an all-girls Catholic high school. There are two parochial schools serving grades K-8, St. Mary’s and St. Agatha’s and one college (Curry College). Beth Israel Deaconess Hospital-Milton is also located in Milton, offering excellent health care services to Milton and beyond. Milton has access to a variety of outdoor recreational opportunities including Blue Hills Reservation, Blue Hills Ski Area, Trustees of the Reservation Land, Houghton’s Pond and Cunningham Pool all within its borders. Cultural offerings within Milton are varied, including the Milton Art Center, the Milton Players, the Forbes House Museum and the Curry College Theater, just to name a few. Boston’s museums, professional sports teams, concerts and other offerings are just a short train or car ride away. Milton has some neighborhoods that have a more urban feel, with close neighborhoods and in walking distance to the shops and restaurants; however, there are other neighborhoods that are more suburban and rural in nature with larger lots and open spaces. There are different communities to appeal to a variety of tastes. Milton’s real estate market is primarily dominated by single-family homes. Colonial and Cape-style homes dominate the Milton real estate market, with a large number of 19th century homes – both large and small – still intact. Milton also offers some new and newer construction homes, along with some contemporary-style homes, ranches and raised ranches. In 2013, there were 273 single-family homes sold in Milton. The average sales price was $588,247. The lowest priced home in 2013 sold for $125,000 and the highest priced home sold for $3,000,000. In fact, in 2013 there were a total of 18 homes that sold for more than a million dollars in Milton. Through the end of the third quarter in 2014, there were 192 homes sold, with an average sales price of $633,865, with a low price of $165,000 and a high of $2,400,000. Homes priced under $300,000 in Milton are generally in need of a fair amount of work and updating. In contrast, there were only 25 condominiums sold in 2013, with an average sales price of $421,029. Through the third quarter of 2014, there were only 5 condominiums sold with an average sales price of $333,200. Condominiums in Milton are divided between older multi-family homes that have been converted to condos or newer luxury condos such as the newly built Residences at Brook Hill or the condos at 88 Wharf. Milton’s proximity to Boston, along with its highly-regarded schools and recreational and cultural opportunities, both in town and in nearby Boston, make it a popular choice for many home buyers. Those home buyers who want to remain close to the city, yet live in a suburban setting find Milton appealing.